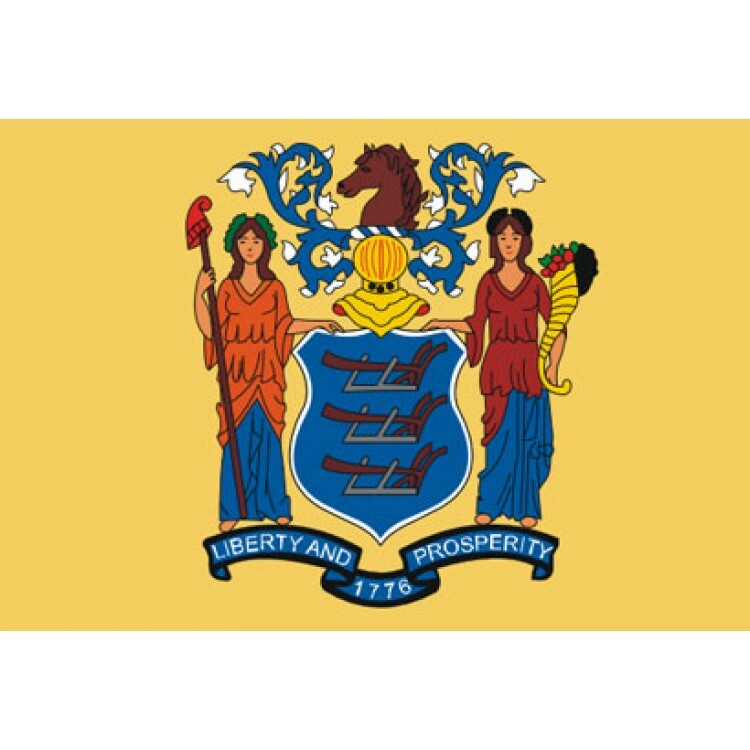 The State flag of New Jersey is buff colored, and the state coat of arms is emblazoned in the center. The shield has three plows with a horse's head above it. 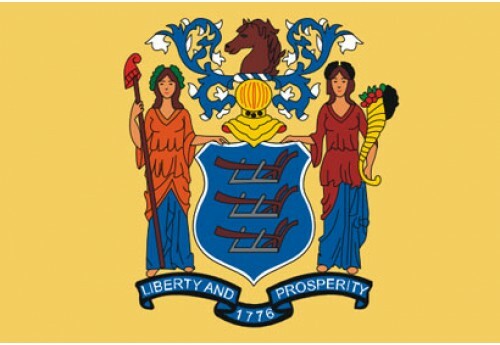 Two women represent the goddesses of Liberty and Agriculture. A ribbon at the bottom includes the year of independence in 1776 and reads: Liberty and Prosperity.